Through his lawyer, J. Gildon Richards, Bertrand has sent a letter to the Secretary of the Police Service Commission (PSC) demanding his reinstatement but the PSC has not answered. And again that matter is heading to the courts. On December 7, 2015 the PSC wrote to Sgt Bertrand informing him that because he was arrested for a criminal offence he was suspended from his duties on half pay. The PSC cited Regulations 80 (1) for its actions. Sergeant Bertrand was arrested and charged for the shooting of Curvin Colaire in Palm Tree, Wesley on November 14, 2013 and was granted bail in the sum of $15,000 when he reappeared in court on January 15, 2016. He was to surrender all travel documents to the court, as a condition of bail. 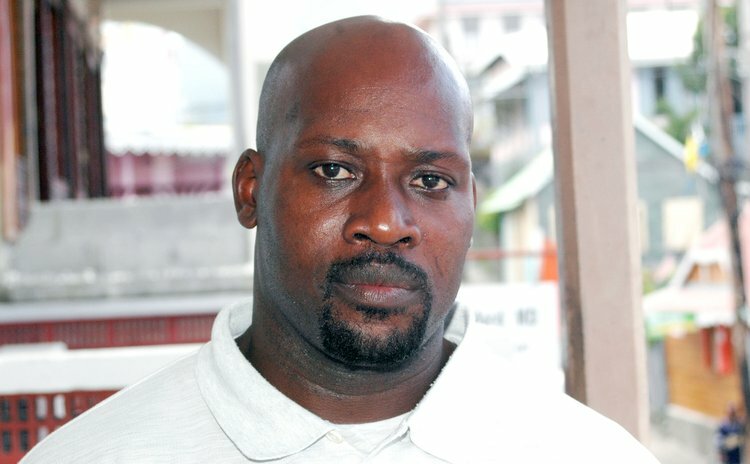 Reports are that Colaire was shot after he attacked the police with a cutlass. At that time the police were responding to a report that Colaire was armed with the weapon in the community and was involved in an altercation with a villager. Colaire was charged for being armed with an offensive weapon and he was convicted. However, Colaire took court action against Bertrand, who was represented by the office of Attorney General. The office refused to file a defense on Bertrand's behalf resulting in the court awarding judgment against Bertrand and the State. In her ruling Master Agnes Actie said: "I have carefully reviewed the submissions and cases cited and make an award of ten thousand ($10,000) for aggravated and exemplary damages," she said. Master Actie ordered the defendants, Attorney General Levi Peter and Sergeant Philbert Bertrand, to pay the following awards: (1) an award for general damages in the sum of $85,000 for pain and suffering and $5,000 for loss of amenities. (2) an award of $3,780 for special damages. (3) An award in the sum of $30,000 for loss of earning capacity (4) an award of $10,000 for aggravated and exemplary damages. On Thursday, June 23, 2016, Magistrate Arley Gill upheld a "no case submission" put forward by defense counsel Gildon Richards on behalf of Sergeant Philbert Bertrand. In the letter to the PSC, Richards said that Bertrand, who was acquitted of the criminal charge, ought to have been back at work and to date that was not the case. "I am informed that as at the date of this letter (September 6, 2016) my client Sgt Philbert Bertrand has not been recalled to perform his duties and he is still being unlawfully and prejudicially denied the full benefit and enjoyment of his property in his monthly salary, to his detriment," the lawyer said. "In accordance with my instructions, I hereby request from the PSC the reasons for its obvious delay in recalling Sgt Bertrand back to work and restoring him the use and benefit of his full monthly salary with retroactive effect." He warned that if the PSU fails to comply or refuses to reply to his letter that would be an indication that Bertrand was being unlawfully punished. "My client reserves all rights in this matter, inclusive of his right to institute appropriate legal proceedings for a just remedy," Richards said. The deadline for a response was on or before September 20, 2016. The PSC has not responded and Richards said he is now preparing to seek redress in the court for Sgt Bertrand's reinstatement.